Find a culture trip that explores West Africa. There are 164 cultural tours to choose from, that range in length from 3 days up to 134 days. The most popular month for these tours is October, which has the most tour departures. 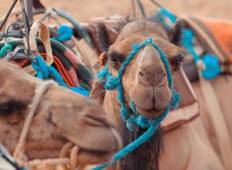 "The two week tour of Morocco is a tour of the many varied landscapes to be found..."
"Said made the tour for us. Without his amazing manner and humour, it would have been..."
"This was an amazing trip. I had lots of fun and experience places I did not expected...."
"I enjoyed every moment of the experience. Nice hotels and vehicles which we spent..."
"Really good tour. 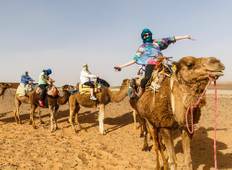 At some points long hours of driving so not much time at the destination..."
"My Cosmos tour was to Morocco in August 2016 and our tour guide was Graham Lye. He..."